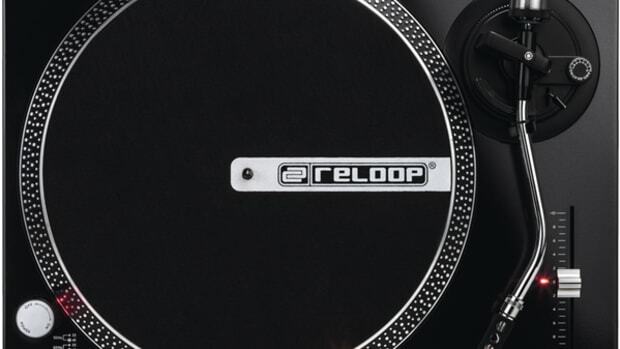 Reloop has just announced two brand new turntables at the BPM 2013 show this weekend that is sure to get vinyl and DVS users very excited. 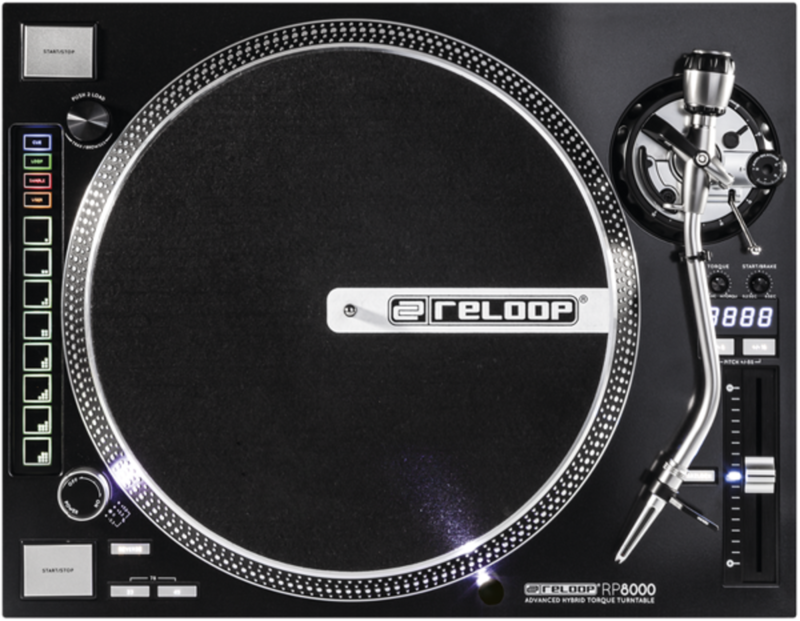 Introducing the Reloop RP-8000 MIDI hybrid turntable (above) and the RP-7000 high-torque turntables without the MIDI control (below). 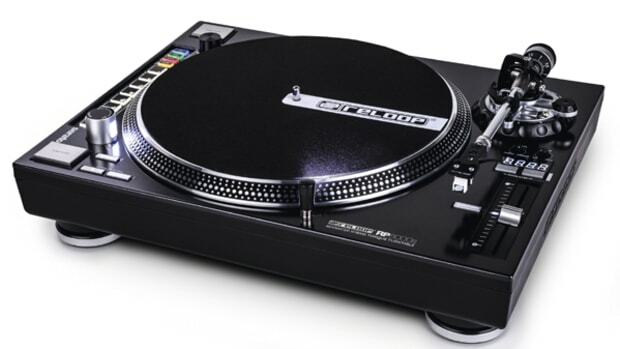 These new turntables have the familiar Super-OEM internal makeup with high torque direct drive motors while the RP-8000 adds a host of MIDI on-board control buttons and an encoder knob for DJ software mapping and control. The RP-7000 and RP-8000 sport the familiar Super-OEM turntable high-torque motor and the same tonearm that is found on the Stanton ST-150, Reloop RP-6000, AT-LP1240, etc. The difference on these new Reloop turntables is that they went in a more "Technics" turntable look with a brushed aluminum top plate, recessed aluminum pitch sliders, and the familiar aluminum start-stop button. They&apos;ve also included another start-stop button in the upper-left-hand corner so that DJ&apos;s who use them in battle position can pull off some trickery. 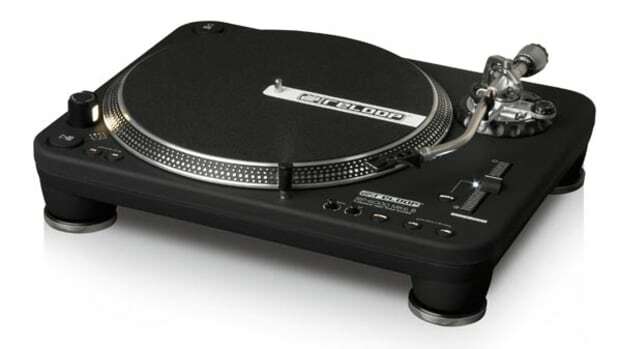 The Pitch range of these turntables can be selected from +/- 8%, +/- 16% and +/- 50% and there are also start and stop adjustment knobs to control the speed that the platter starts and stops the track. The RP-8000 is the big story here though, with an additional digital Pitch LED display, eight rubberized MIDI pads, four MIDI layer buttons, and an over-sized encoder knob which can all be mapped to any MIDI compatible DJ software out on the market today. The eight rubberized MIDI pads can be used to control functions such as hotcues, loops, samples, or anything else the user wants to trigger. The four MIDI layer mode buttons are used to change the function of the eight bigger pads. The over-sized encoder knob can be used to browse through the library of music and select tracks, playlists, or folders. The RP-8000 will also include a Serato DJ mapping right out of the box and I&apos;m sure a Traktor TSI file will also follow suit shortly thereafter. 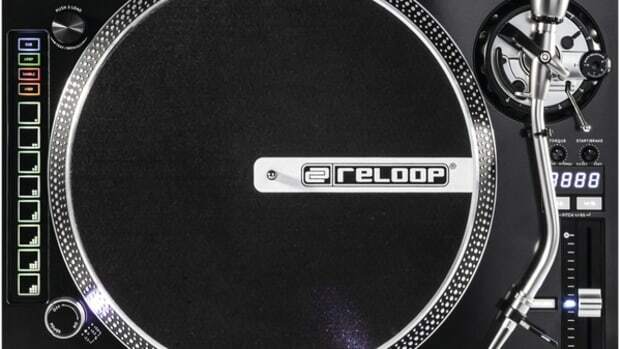 turntable specs at the Reloop website.